Good and bad news about the next Resident Evil film, Resident Evil: Retribution. Millia Jovovich, aka Alice, announced on twitter that the next film will feature Leon S. Kennedy, Ada Wong and Barry Burton. 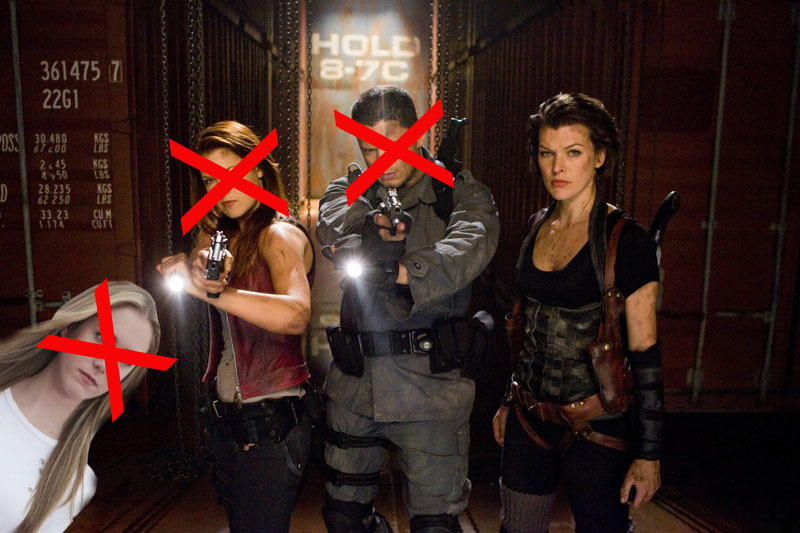 The bad news is that she also said that Chris and Claire Redfield and K-Mart will not be in the movie. Their absence will be explained as them being captured by Umbrella, this makes two times that’s happened to K-Mart and one and a half for Claire, who narrowly escaped the first time but not before being placed under Umbrella control. The plot will follow Alice, along with Leon, Ada and Barry, as they try to find Claire and the others. Though I’m guessing that since the actors aren’t going to appear in the film, they aren’t successfully located thus leaving it open for yet another sequel, which doesn’t bother me in the slightly. Also set to appear in the film is Boris Kodjoe, who will be reprising his role as Luther West (possible love interest for Alice). So far no actors have been announced to play Leon, Ada or Barry. However, Jovovich did say that Jensen Ackles, who was previously approached about the role, is filming Supernatural and will not be playing Leon. Sienna Guillory will return to play Jill, this time for more than ten seconds. In fact, Jovovich said that Alice and Jill will have a huge fight scene, which should be fun. Shaun Roberts will also make a reappearance as Albert Wesker, hopefully this time he won’t die a million times. We’ll have to wait a year to find out though as the film isn’t scheduled for release until the 14th of September 2012, but I’m sure we’ll have some casting news soon as shooting begins in October. What do you think about this news? 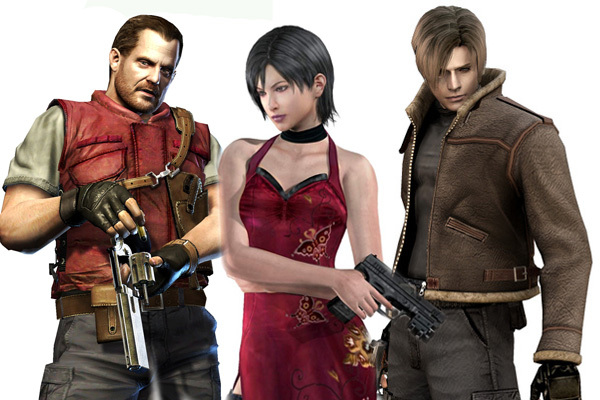 Who would you cast as Ada, Leon or Barry? Do you secretly long to be in a post-apocalyptic zombie infested world? If not, why not? Let me know by voting and leaving a comment below. Also don’t forget to subscribe and click the like button. This entry was posted on September 18, 2011 by adamodwyer1. It was filed under Action, Horror and was tagged with ackles, action, ada, albert, barry, burton, casting, chris, claire, evil, horror, jensen, jill, jovovich, k-mart, kennedy, leon, milla, news, plot, redfield, resident, retribution, s, valentine, wesker, wong. They’ve cast Leon now and I have to say I’m pretty disappointed, but hopefully they’ll prove me wrong when the film comes out. They cast a guy called Johann Urb. I agree – Jensen Ackles has, from the moment I saw him, been Leon to me. Urb just seems too… non-descript looking for me. For Chris’s character i thought that the guy who played as Angel would be Chris.. but they choose Wentworth who doesn’t realy resemble Chris… but he was pretty good. I used to say the same thing about the apocalyptic world it probably would be horrible, but in my head it would be so cool. I agree about the guy who plays Angel he would have been a better fit Wentworth Miller’s a good actor but he doesn’t look like the game version of Chris at all. I was surprised when Jill only got a small scene last time, because they announced she’d be back and I was like ‘where is she’ then she pops up for 3 seconds. Left 4 Dead has an official movie page, but apparently rumours have been flying around for awhile hope it’s true though. Thanks so much for your comment hope you like the blog. i am so disappointed about what happened to clair, chris, and k-mart!! we all do know that leon’s character is wonder full but we to get back clair and chris for the scenes!! and i wanna ask if alice going ro regain her powers or not! with a big heart for the best actress milla jovovish!! I know I wish Claire, Chris and K-mart were in this movie, but I think they are aiming to finish with a sixth film were all the big names are together. I am fairly certain that Alice will not be getting her powers back. The reason they removed her powers is that they felt it was harder for the audience to engage with her if they didn’t think she was in ral danger. I was disappointed by the descision at first, but now I think they might have made the right choice. Thanks for the comment. They’re too of the best Resident Evil characters, I like that they have the brother sister relationship and it would have been nice to explore that more in the movies, as it was swiftly pushed past in the last film. Hopefully they will bring bought characters back in a future installment. i hope this movie will have a part 6 and please i like claire and chris redfield please bring their back . but still i am gonna watch this part. Having now seen the movie I think it’s fair to say there will be a sequel, one is currently being planned, and I hope that Chris and Claire are in it as rumour has it the next will be the last and I really like those characters too.